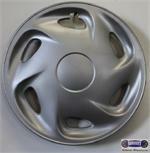 2198, Used Rims,15x6, 5 LUG, 100mm, 03-10, Chrysler, PT Cruiser, 6 SLOT, BLACK STEEL. 3120, HUBCAP USED, 15", 77-88, CHEVY, GMC, BLAZER, JIMMY, PICKUP, 10, 1500, 20, SUBURBAN, 6 SLOT TYPE WITH HUB HOLE, CHROME OUTER RING WITH 6 SPOKES, BLACK PAINTED POCKETS, DARK GREY BACKGROUND, RAISED CHROME OPEN CENTER WITH 6 SPOKES, METAL CLIPS. 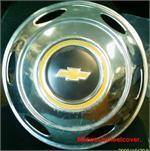 3188, HUBCAP USED, 14", 87, CHEVY, SPECTRUM, 6 SLOT TYPE. 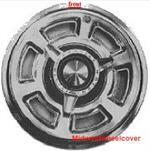 354, HUBCAP USED, 14", 70-71, DODGE, CHALLENGER, 6 SLOT TYPE. 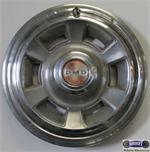 355, Hubcaps used, 14", 70-71, DODGE, DART, CHARGER, PASSENGER. CHROME OUTER RING, MACHINED CENTER, METAL, 6 SLOT PAINTED BLACK [6 SLOT TYPE] RECESSED RIBBED .CENTER WITH BLACK CENTER & WORD DODGE DIVISION & LOGO, METAL CLIPS. 5042, Hubcap used, 13", 76, PONTIAC, ASTRO, SUNBIRD, 6 SLOT TYPE, CHROME OUTER RING, WITH 6 CUTOUTS, PAINTED SILVER POCKETS, BLACK RING & MACHINED CENTER, RED LOGO, 6 METAL CLIPS. 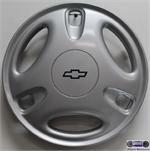 5046, Used Rims,16X6.5, 5 LUG, 115MM, 95-99, CHEV, LUMINA, MONTE CARLO, SILVER ALUM, 6 SLOT. 598, Hubcap, 14", 71, DODGE, VAN, 6 SLOT TYPE.